Offices with flexible terms and an array of services to choose from. Cutting edge communication system with easy access to subway lines. Easily accessible from I-287, I-95, the Hutchinson, Saw Mill, Sprain Brook, and Bronx River Parkways, and is a short walk or complimentary shuttle ride from the White Plains Transportation Center. The center is easily accessible via numerous road and rail networks. Highly prestigious business complex offering a variety of services and amenities. Easy access to fine dining, shopping and Grand Central Station. Offices are located amid beautifully manicured lawns giving your business a sense of top notch service. 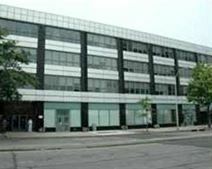 This centre offers a wide variety of services as well as fully furnished offices. Positioned in a metropolitan setting, the workspace is just steps away from fine lodging and cuisine. You will find that this central location is just minutes’ away from major highways, and has good transportation links with easy access to White Plains Metro North Station, and John F. Kennedy International Airport (JFK) within an hours drive. This exquisitely furnished and exceptionally well equipped business center installation and corporate working environment is a state of the art, highly prestigious and technologically innovative corporate hub; providing all prospective tenants with an extensive selection of specialist corporate services and business benefits in addition to the particular workspace solution packages on offer as standard. Offering a range of executive suites that are suitable for all types and sizes of business this modern building is set on a premier 1.5 million sq. ft. business park in upmarket Westchester County on The Platinum Mile which plays host to a mix of blue chip corporations and smaller sized businesses. The site itself is only a short journey by car to White Plains and Westchester County Airport; and there is a metro line in to New York City and Amtrack stations nearby.